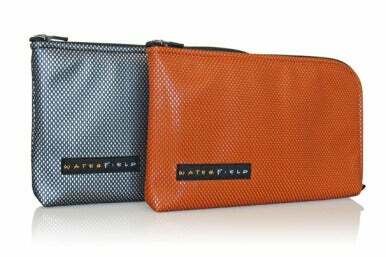 Just in time for summer road trip season, WaterField Designs has released the stylish Apple TV Case so you can bring your set-top box along with you. Remember last year when the whole family had to crowd around your iPad? Now you can stream your media to Grandma’s 100-inch plasma HDTV using an Apple TV and AirPlay. The Apple TV Case sports separate padded pockets for the Apple TV, an HDMI cable, the power cable, and the included remote. When fully packed, the case holds everything flat so you can squeeze it into that sliver of space you have remaining in your car’s trunk. The Apple TV Case comes in your choice of Tangerine (orange) or Flash (silver)—perfect for Halloween or if your travels take you to Princeton University. The Apple TV Case is $45, and is available immediately from WaterField Design’s website.